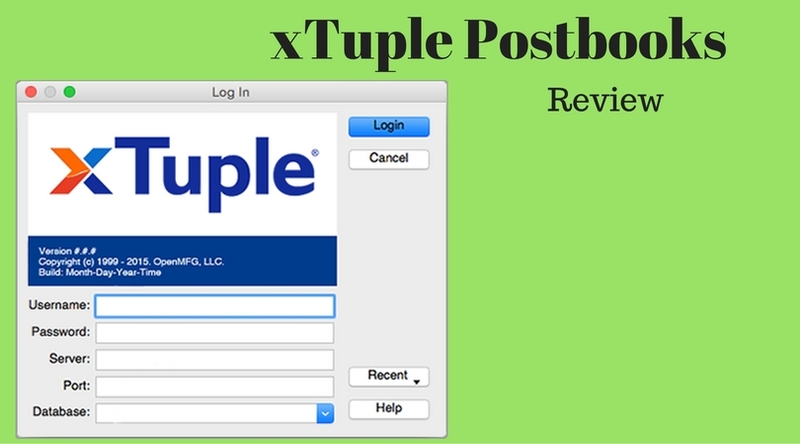 xTuple Postbooks is an all-in-one free accounting software created by xTuple which is an award-winning ERP development company. This software consists of the functions of accounting software, ERP along with CRM facilities into one single integrated system. This software can be utilized for different business and industries, no matter if they are small or large scale organizations. 1. This software can be utilized via a local server or as a cloud-based application. This provides its user to maintain the accounting data available on the go. This accessibility provides the user much-needed flexibility to access their business related accounting figures. 2. It also comes with various impressive capabilities of accounting with CRM, reporting and sales entry. 3. Its various features like creation of financial reports along with making general ledger entries provide the ability to take care of the company’s financial status and performance. 4. The user can take full advantage of its features while purchasing, defining products, along with inventory and distribution of the product. 5. This software comes with a global community which also maintains products international capacity. 1. It allows you to handle payable as well as receivable including bank reconciliation procedure. 2. One can easily make quotes, make an entry of orders along with generating sales reports. 3. This software can be operated on various OS such as Windows, Mac, and Linux along with mobile access. Its interface and features are quite ordinary which also lack many important features. While this software provides all around solution related to ERP, CRM and accounting, it does lack several key features when it comes to managing your business accounts. This software is fit for small business which want accounting related data along with CRM and ERP in one single platform. So, you can try this software in case you are looking for a complete solution even when it lacks certain features. Use this software and post your various experiences and views. Also, mention your reviews in the comment section below.